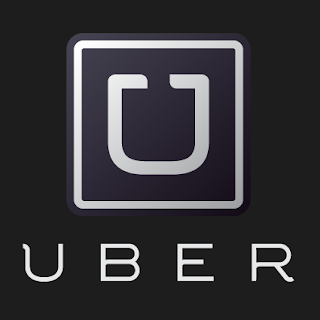 Uber’s Record-Breaking Valuation: Fact or Fiction? Last week, the Wall Street Journal reported that, after another round of funding, Uber’s new valuation is in excess of $50 billion, an amount that reached the mark faster than Facebook’s (FB) 2011 record for a private, venture-backed startup. Over the past 5 years Uber’s popularity has spread like wildfire, as the service is now available in 59 countries throughout Europe, Asia and the Middle East, as well as throughout the U.S. Earlier this month, Gawker apparently obtained internal financial documents that prove “Uber has lost tens of millions of dollars since 2012.” According to those documents, Uber lost $20 million in 2012, $56 million in 2013 and $160 million in the first half of 2014. So even if Kalanick’s statement that Uber has been doubling revenue every six months is true, it also appears that Uber’s net losses are increasing at a similar exponential rate. In April, TechCrunch reported on Uber’s plans to launch a merchant delivery program called UberRush, which would essentially turn the company’s growing fleet of personal taxi drivers into package couriers as well. At the time, it was speculated that Uber’s long-term intention went beyond local courier services, as indicated by the entirely separate smartphone app that delivery drivers would need to download. Fast-forward a few months, and it appears as if TechCrunch may have been on to something. On Monday, an update to the Uber app has shifted access to Uber Eats — a prepared-food delivery service for residents of New York City, Chicago, Austin and Los Angeles — to a more prominent location on the Uber app’s main screen. So for Uber users living in the aforementioned cities, ordering lunch will be just as easy as hailing a ride through UberX. While the Uber Eats program is still a pilot, management is convinced of its potential and is offering free delivery in select cities for the month of August. Ranging from $6 to $15, users can order a hot pastrami sandwich, barbecue brisket, salad and even Maine lobster. While the UberX ride-sharing program has disrupted countless taxi markets in cities across the globe, there’s significant evidence that Uber’s ability to continue operations cannot last forever. For one, UberX drivers operating their own vehicles as for-hire taxis has put the company’s methods under regulatory scrutiny in nearly every market. In fact, a number of cities have banned UberX services entirely, citing the dangers associated with improperly-licensed drivers. Secondly, Uber’s brute-force modus operandi — which has been to simply ignore local laws and regulations, as well as protests and objections from both cab companies and city officials — will eventually catch up and result in significant fines, if not outright bans in many markets. Additionally, Uber has been entwined in legal troubles regarding the classification of UberX drivers as employees or independent contractors. That said, if the ruling in California leads to similar rulings in other jurisdictions, Uber would be forced to increase rates to cover the costs of its new employees, essentially destroying one of its most advantageous features. So with shady financials and a plethora of legal and regulatory battles looming on the horizon, investing in an Uber IPO doesn’t seem like a wise decision at this point.